On my way to C&J's wedding in Taipei, I managed to squeeze few extra days to visit the place. 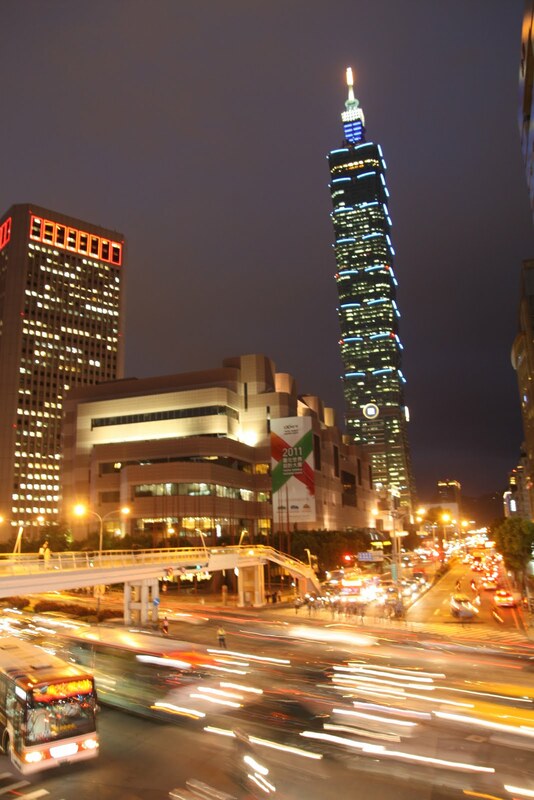 Taipei is the capital of the Republic of China, commonly known as Taiwan. 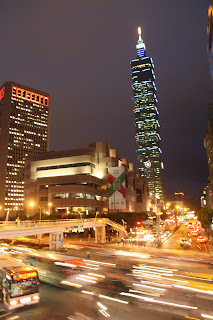 With close to 7 million inhabitants Taipei is the largest metropolitan area of Taiwan and its 23 million people. Founded in the early 18th century, Taipei was a place of constant battle against invaders (Japanese & Chinese), and has therefore developed over the years a sense of pride of being independent. 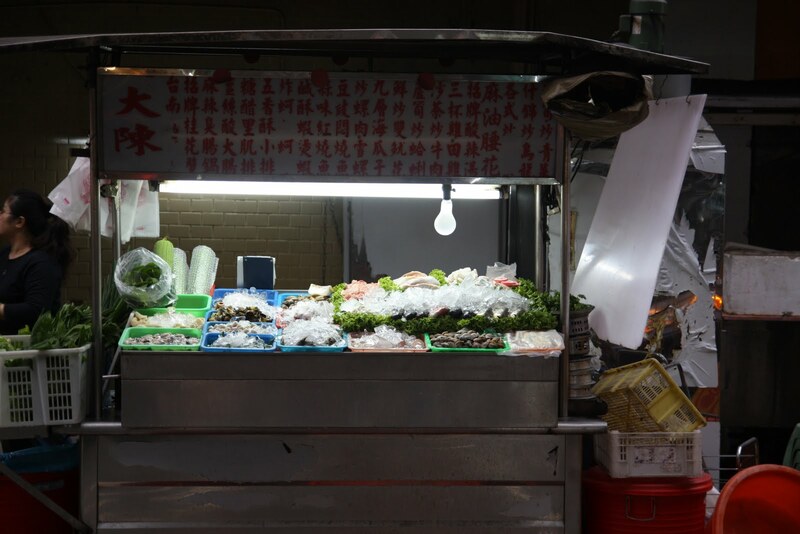 Walking along the streets of Taipei reflects this long lasting battle of independence. Notable above all historical monuments is the Chiang Kai-shek Memorial Hall. The controversial military leader outside the island is considered on island as a true hero who liberated the country from both oppressive Chinese and Japanese invaders. Until recently, it was a widespread practice for Taiwanese people to hang portraits of Chiang in their homes. For some, Chiang was the national hero who led China to the ultimate victory against Japan in 1945. Some see him as a champion of anti-Communism, and the leader who led Free China against a possible Communist invasion. However, Chiang presided over purges, political authoritarianism, and ruled throughout a period of imposed martial law. His governments were routinely accused of being corrupt. In Western countries, Chiang was often perceived negatively as the military leader who lost China to the Communists. His steady demands for support and funding earned him the nickname of "General Cash-My-Check". The truth certainly lies in between. 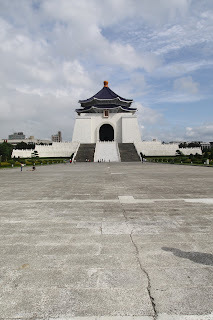 Nowadays modern Taipei (the Financial district and the famous Taipei 101 Tower) and traditional Taipei (National Palace Museum, Longshan Temple and Chiang Kai-shek Memorial Hall) cohabit together in a charming and peaceful manner for the betterment of Taiwan. The hotel is well situated, next to a MRT station and close to all major destinations. Service is nice, room smalls and breakfast is mixed (Continental/Asian). Taipei food is a mixed of "cheap-street" food and "luxury-restaurant". If there were only one to go to, that would be the one. 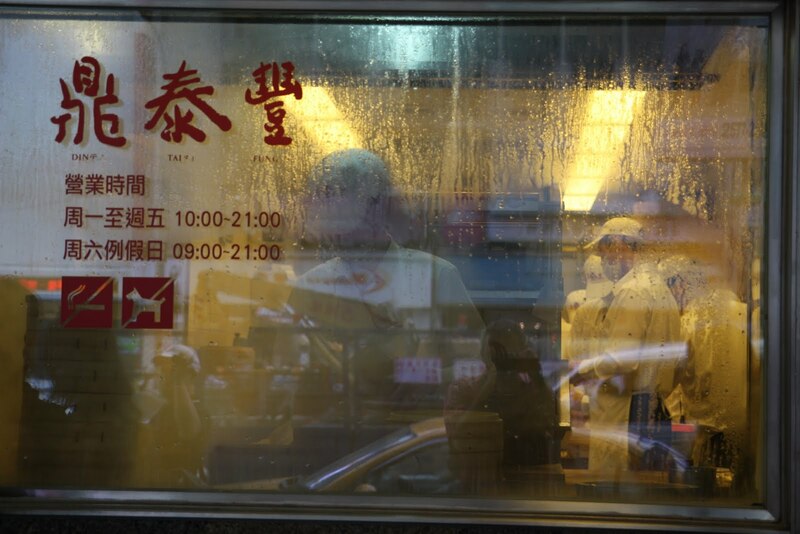 The chain is quite large and consistent across Asia, but the original place is a must go to place. Ordering is done outside while waiting "in line". As soon as seated, drinks, dumplings and other Asian delights start arriving and no particular order. Best Dumplings ever had !!! 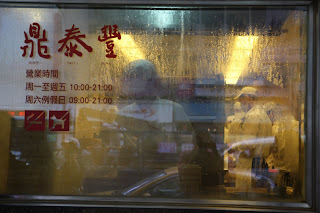 2F, No 112, ZhongXiao East Rd, Section 4. This authentic institution is a fantastic opportunity to discover the great and diverse food Taiwanese, on a not too expensive bill. 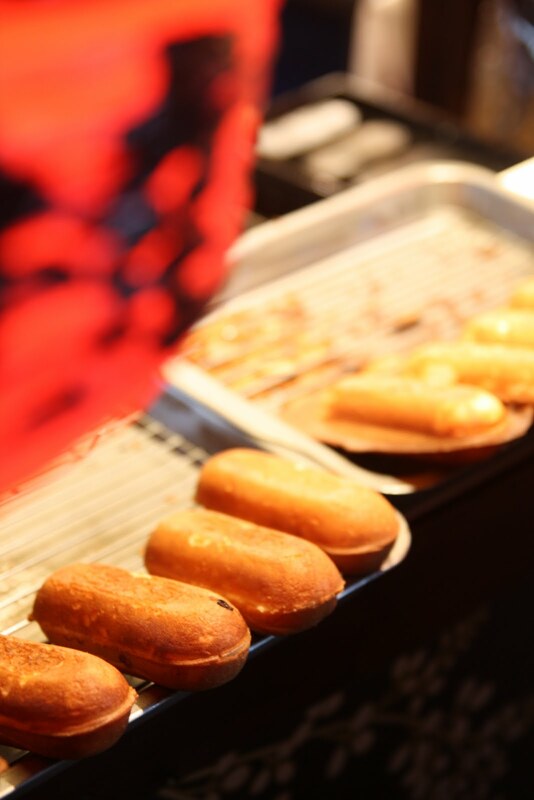 Bring your extra stomach. 2nd floor of the Sheraton Hotel. Tired of Asian food? What about Thai instead. This black and old restaurant serve huge and exquisite Thai plates. Portion are too big, so is the bill. This is the place to go when hungry when the moon is up in the sky. No matter what you think you will find something for your stomach, wardrobe, or apartment. Shop, shop and shop. Taipei is the Capital of the large Taiwan island. With over 7 million inhabitant in the city, the large parks and avenues help to feel more in a village than a megalopolis. The Mass Rapid Transport (subway) is the best public transport to go from one place to another. If you don't know try a taxi with a Chinese interpreter to help you out. Take a bus from the airport (www.airbus.com.tw/). It's cheaper and faster, and drop you at the major intersection. Strange to see this gigantic memorial to one of the most controversial (outside the island) leader of modern history. Considered by some Taiwanese as a national hero, Chiang Kai-shek has still a long way to enter human pantheon for being the last freedom fighter in China. Officially known as the Taipei International Financial Center, this 101-floor, 508-meter high skyscraper is in the Xinyi District of Taipei and is the second tallest skyscraper in the world, and tallest building in Taipei. There is no chance that you can't miss it, since it's usually used as a compass for tourists alike in the city. Go visit at night the last floor to see the damper. Food court is amazing. The museum is in Shilin. 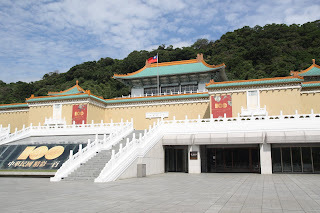 The nearest MRT station is Shilin, with frequent buses from Shilin heading for the Palace Museum. But it's better to use a taxi to go there. It's a must-see for first time visitors. This is a crowed place and guided tour are done on fast pace. The world's best collection of Chinese historical artifacts and antiquities. 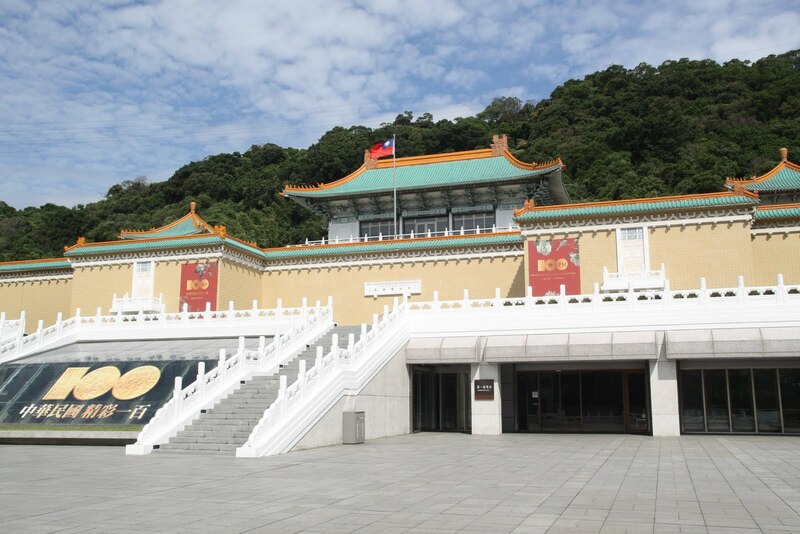 It is the national museum of the Republic of China, and has a permanent collection of over 677,687 pieces of ancient Chinese artifacts and artworks, making it one of the largest in the world. The collection encompasses over 8,000 years of Chinese history from the Neolithic age to the late Qing Dynasty. Most of the collection are high quality pieces collected by China's ancient emperors. This temple is where countless generations of Taipei citizens have come to pray and seek guidance at times of trouble. 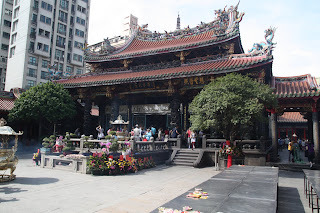 As the temple is dedicated to Guanyin is officially defined as Buddhist, but there is a great amount of folk religion mixed into the fabric of the beliefs at this temple.